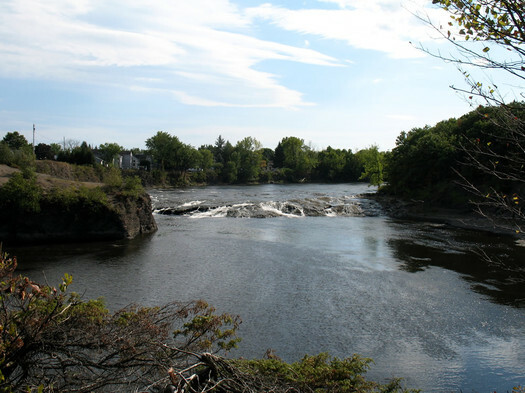 As the name suggests, it is an actual island, situated at a convergence of the Mohawk and Hudson Rivers, which provides for some beautiful scenery and small waterfalls. 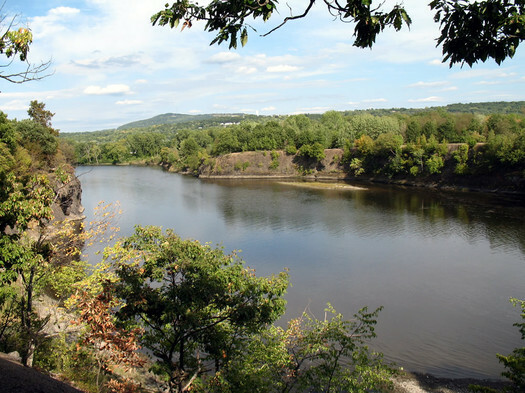 Peebles Island -- once called Haver Island -- and the surrounding area were long inhabited by Native Americans, in part because of the riverside location and access to nearby attractive farmland in what's now Waterford. Henry Hudson's expedition may have visited the island in 1609 on a trip north to what's now Stillwater. In 1664, the Dutch are said to have purchased the island from Mahicans in an attempt to keep it away from the English, and the island was later used to graze cattle. During the middle part of the 1700s the location became increasingly important as a military location on the river, and during the Revolutionary War it served as a camp and fortification for colonial troops. Around the beginning of the 20th century, Mary Peebles sold the island to Cluett, Peabody and Company, which constructed a bleachery on the island (buildings from the company still remain). The state purchased the island in 1973. In my opinion, the best feature on Peebles is the wide range of walking paths. They offer spectacular views --either of the surrounding rivers, or of lush greenery. 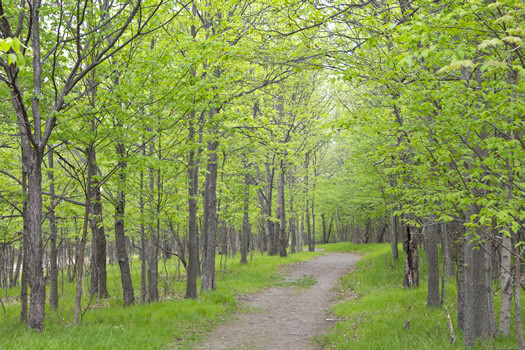 They paths aren't strenuous hikes, and I've often strolled around in flip-flops. But it's a fabulous spot for trail running, if you're into that kind of thing, and lots of families bring children or walk dogs along the web of well-marked paths. This probably isn't a spot for marathon training, though, since most routes are less than 2 miles. Another one of my favorite aspects of Peebles is spotting wildlife. 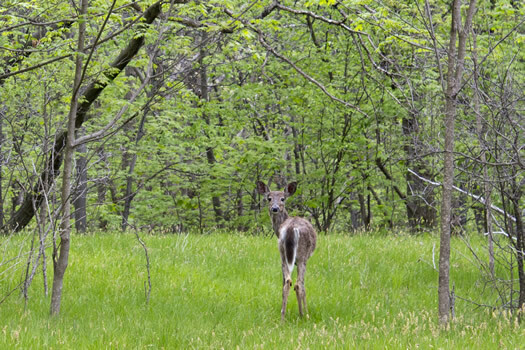 There are quite a few deer on the island and in the surrounding areas (I often make a game of counting deer). There are also groundhogs and dozens of species of birds. I've seen more than 15 unique animals on one island stroll. The animals are generally not intimidated by people, and will often cross trails right in front of you. A lot of people visit Peebles to picnic on the large lawn at the north end of the island. There are also some basic camping grills. There are quite a few picnic tables and grills, but it can get crowded on busy summer weekends. I've never had problems securing a spot of cook s'mores during the week, though. If you're into more formal celebrations, a large pavilion is available for rent. 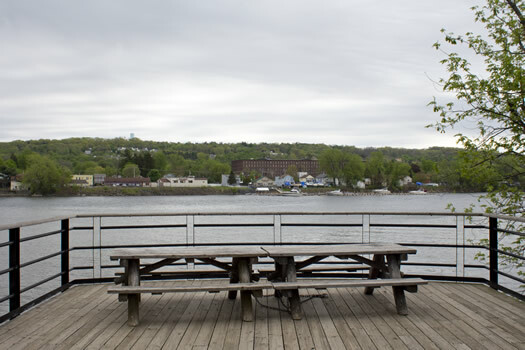 When it's not in use, you can sit on picnic tables situated on a large balcony looking out onto the Hudson River and Lansingburgh. Troy has never looked so peaceful. Peebles, like most of the state parks in this area, does charge an entrance fee to access the park. Right now it's just on the weekends, but expect to pay $6 per car for island access. I highly encourage all state park lovers to get the Empire Passport, which allows you unlimited state park entrance for $65 a year. It's a good deal if you're going to be a frequent park visitor. Lauren writes about shopping, crafting, and living well on a small budget at The Thrifty Ginger. 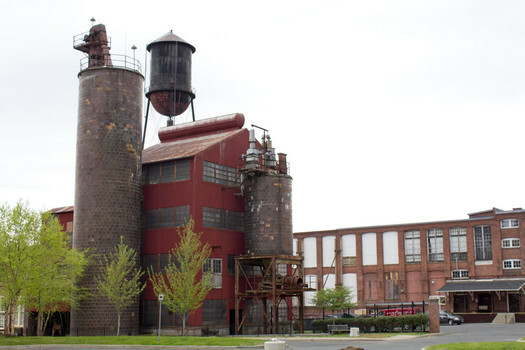 Yay, Peebles Island! Also a great spot for viewing Waterford fireworks, which are shot off just west of the area in the photo showing the bridge to Waterford. Great fireworks displays this year on July 5th (the Steamboat Meet) and Sept. 6th (Tugboat Roundup). Also, after a nice hike around Peebles Island, you are just a short walk (3 blocks north and 1/2 block west of the Waterford bridge) of the Angry Penguin Tavern -- one of the best kept secrets among Capital District pubs. The Penguin is friendly to all comers, comfy, sociable, has an excellent beer selection and excellent food at quite reasonable prices. Their fish and chips dinner (not to be confused with a fish fry) has again been rated as the best in the Capital District. Love Peebles, especially after a heavy ran fall the rapids are amazing. You can park down the road and walk in to avoid the fee. I don't think i've ever been there without encountering a deer, and they have the BIGGEST fish I've ever seen!! Really need to get there with the rod and catch one of those monsters. Great place to launch a kayak as well. Paddle over to Waterford and up the Erie Canal. Just remember you have do the entire 5 locks before you turn around and come back. The lock people don't mind filling and emptying a lock just for a kayak either. It's probably one of the most impressive services the State of New York will give you and its absolutely free. Just remember one thing about this park: ticks. There is lots of wildlife on Peebles Island. The New York State Museum did a 24 hour BioBlitz survey there in July 1999 and found 637 species, including 56 bird species, 18 species of fish , 16 mammal species, 206 insect species, 254 plant species, 7 mollusk species. Also, the island is part of an excellent "secret" commuter highway! You can cruise between Waterford and Cohoes in half the time. Sure the signs say "no through traffic", but enforcement is non-existent, so no need to pay attention to that silliness. @Van Schaick Roadkill, you can no longer drive from Waterford to Cohoes across Peebles Island to Van Schaick Island during the "season" (unless you're on a bike or driving a commercial vehicle).The parking attendant in the guard shack will make you turn around, in whatever direction you're heading. 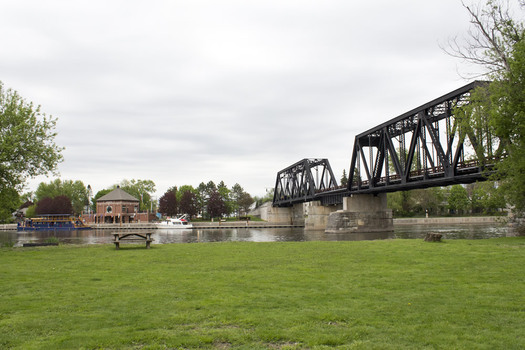 It costs $6 to park, though you can park for free in Waterford and walk across the bridge to the Island park. And you can cut across the Island in a car during the off season.